Many people look forward to Halloween’s yummy treats, sneaky tricks and creative costumes. (We look forward to sneaking a few treats from the kids’ buckets after bedtime.) While it can be a fun night for kids, parents, and candy-givers alike, with Halloween there is always a risk of mischief as well. But don’t worry, just follow our tips for to keep your home and guests happy, and safe. 1. Turn off your alarm before trick-or-treaters arrive. An active alarm system is great security, but preventing false alarms is also important. Halloween calls for your door to be open and closed repeatedly over the course of the night, so disarm your home security system before Spideman or Queen Elsa rings your doorbell. 2. Turn on outside lights. No one likes tripping, nor does anyone like their flowers stepped on. Your home might look extra spooky with just the glow of a few jack-o’-lanterns, but a dark home can tell people you’re not accepting visitors. It could also be an accident or an invitation for a break-in waiting to happen. Keep the pathway from the street to your door well-lit to prevent any injuries or unwanted visitors. You don’t want the next person at your door to be the police or a lawyer! 3. Put your pets in a closed room. As pet owners ourselves, we love our furry friends! Your pets might usually be welcoming to visitors, but the constant ringing may be more than they’re used to. Not to mention a large barking dog might be terrifying to a young child. Set your pet up for the night in a room away from the front door. This will keep them less stressed, prevent unwanted harm and will prevent them from getting loose. 4. Sweep your driveway and walkway. Fall means cooler weather, and cooler weather means extra leaves on the ground. Prevent even more scraped knees and other accidents by sweeping away any dirt, leaves or branches from your driveway or sidewalk. 5. Don’t place decorations on sidewalks. While decorative spider webs can give your home extra Halloween-related zeal, placing them in the way of others can be a recipe for trouble. Skip placing pumpkins, webs or skeletons on your sidewalk, and instead place them off to the side. It’s better for your decorations to be looked at, not walked on. 6. Park your car in the garage. 7. Take pictures of your property before the night begins. Be sure to take pictures of your property before trick-or-treaters start to arrive. While you may be alert and keep a watchful eye on what’s happening around your home, it’s hard to always prevent accidents or vandalism from happening to the exterior. 8. Keep an eye on your front door. Since you’ll have trick-or-treaters knocking at your door fairly often, you’ll obviously want to be close by your door. However, it’s a good idea to lock your storm door, or front door if you don’t have one, after every visit. Most people just want to have a nice time on Halloween, but it’s good to keep a close watch on any possible tricksters. 9. Use LED candles instead of real ones. Flickering candles are great for creating that nostalgic Halloween atmosphere, but they also run the risk of accidental house or yard fires. Unless you’re going to be keeping a close eye on every single candle, try swapping them out for LED ones instead. Your jack-o’-lanterns and other decorations will have the same effect, without the added risk. Remember, you don’t want the firefighters at your door to be the real deal! 10. Tone down the scary decorations. Going all out to create a haunted house full of horrors might earn you street cred, but it could also keep the youngest (and some of the cutest!) trick-or-treaters away. Some scary decorations could also invite people to react in a way that you might not have wanted. To prevent people from attacking your decorations, and to welcome more visitors, tone down the scary and opt for whimsy. 11. Don’t put off home improvements. Loose bricks and broken railings can be dangerous for overly excited kids. If there’s any potential hazards in your front door, take care of them now. The less risk at your home, the better. 12. Turn your alarm back on before you go to bed. Once the all trick-or-treaters have headed home to feast on their loot, don’t forget to turn your alarm back on! Having an armed and monitored home can give you comfort, and help prevent those who are more concerned with “tricks” than treats. 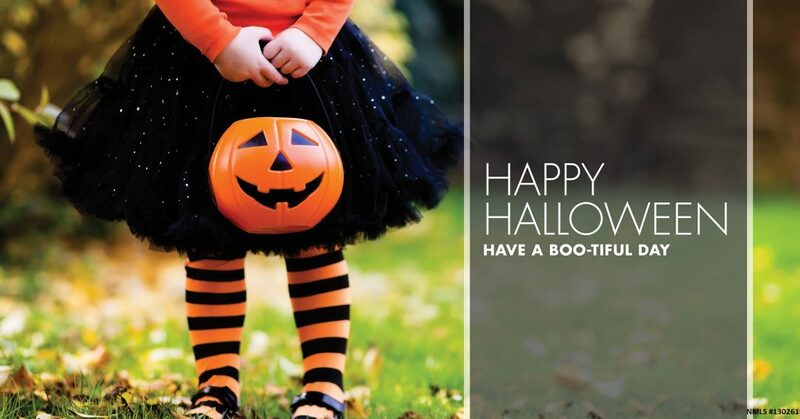 Have a wonderful and safe Halloween from everyone here at Seafirst!